This year's World Market Updated includes a full chapter dedicated to Direct-Drive WTG versus Gearbox-Equipped WTG. The increased use of the direct-drive turbines across the wind market is impacting the wind industry. The World Market Update 2010 identifies and compares the pros and cons of both the direct-drive and gearbox-equipped concepts, as well as the implications of using permanent magnets on a large scale. This is an interesting use of existing technologies combined to build a viable solution. The basic principles of Joint Implementation are defined in Article 6 of the Kyoto Protocol. Project participants from two (or more) Annex 1 Parties may jointly implement an emissions-reducing project in the territory of an Annex 1 Party, and count the resulting emission reduction units towards meeting the Kyoto target of the other involved Annex 1 Party/ies. The NY Times reports that the federal government is pouring $500 million into training for green jobs, and the sector devoted to energy efficiency is estimated to grow as much as fourfold in the next decade, to some 1.3 million people, according to the Lawrence Berkeley National Laboratory. Currently, the biggest limitation for drivers thinking about making the transition to EVs is the need for a reliable network of charging facilities to increase the range of these vehicles and to alleviate any fear of "running out of juice." Surveys indicate that ease and accessibility of charging rank at the top of potential buyers' concerns about electric vehicles. Photovoltaics is without doubt the most direct way of taking advantage of solar energy. When using photovoltaics, however, the efficiency of the various systems, and the feed-in tariffs to be expected should be kept in mind. 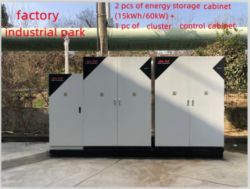 On the one hand, the capacity of the solar modules used is important - on the other hand, the way in which these modules are used has considerable influence on their cost effectiveness. Plasma2Energy is introducing a disruptive technology to the waste management market. There is no single technology that can deliver the performance that Plasma2Energy can achieve. That is why a third party validation is necessary to attract more attention from investors in this field. Is carbon trading a way for developed countries to ease their collective conscience while continuing to emit more and more greenhouse gases into the atmosphere? In this essay I will try to analyze the basics of carbon trading and the means to fulfill individual goals of each country. Since the solar bike port's October 2010 installation, students have shown an increased awareness of solar power and energy production, and are enjoying learning how their school's green features help lower their environmental footprint. And the enthusiasm is expanding beyond the student body to embrace teachers, parents and professionals from other schools - both within and outside of Boulder Valley. Bio-energy projects have been in controversy since ages, with the initial debates raging over the feedstock's intervention with food available for human consumption. Although these disputations are now a thing of past with such technologies being successful in proving their deftness over the use of a multitude of resources like agro-wastes, animal-wastes, municipal waste, forestry residues and others, which are of no significant use to the mankind.